New event! The Hatchlings are learning to fly – with jetpacks! 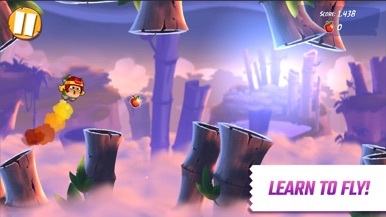 Pilot your Hatchling through a tricky aerial obstacle course to collect apples, and nab the highest score against players around the world. Also coming soon: Rainbow Rave! All feather rewards become Rainbow Feathers for a limited time. Use them to level up your favorite bird! 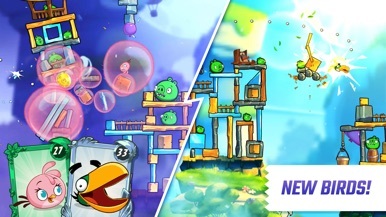 Angry Birds isn't just another puzzle game but a phenomenon itself. Since its first release for iOS, the pigs hatred disease has spread as wildfire through the world. Here you are the first, classic and original version of Angry Birds. Gameplay is quite simple: you have to launch birds at pigs (which are guilty of stealing its eggs) stationed on or…. The Angry Birds series continues. 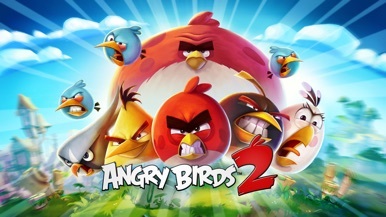 In this episode you have to rescue the Angry Birds' newfound friends: two rare macaws from the Fox motion picture, RIO.. Rovio, the developer of Angry Birds, announced from the very beginning that new episodes would be released periodically. 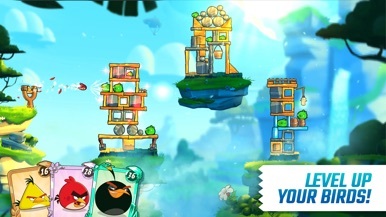 And once more, they’ve fulfilled their promises with Angry Birds RIO. Angr….